Backpacks are a must have accessory today and they come in handy in terms of style and so much more. These bags can hold quite a lot of essential things and luggage, and do not look overwhelming while doing so. Another reason for the stark growth of demand for the backpack is the compatibility that it has with fitness and athleisure clothing. 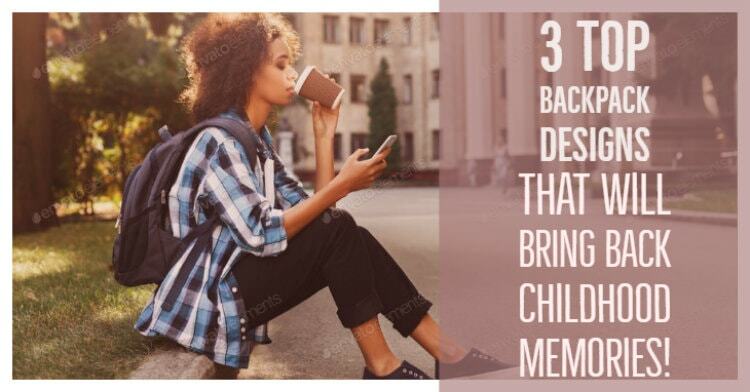 In this blog, we are going to talk about 3 of the top backpack designs that you can choose from if you want to look good and recreate some childhood nostalgia. Here’s a list of top childhood nostalgia recreating designs by bags manufacturer. Disney characters have always been closely related to our lives and that is what makes it so expressly beautiful – because it comes with a piece of us. Whether you go for the classic Minnie and Mickey print combination, or choose a Disney princess, the impact of the brand will remain indelible. If you get backpacks printed or designed with your designed Disney theme, then it will add a lot of value to your wardrobe accessories collection. Disney will be strong in your heart forever and is a great backpack motif – which makes it a must have, especially if you were one of those who followed. Are you an out and out superhero fan? Then why not show it on your backpack itself? It does not matter whether your house of choice is DC or Marvel, or both; as long as you want superhero printed and themed backpacks, it is all good. From a trends point of view, these characters are doing really well for the last 10 years and have had very successful live action films dedicated to it. Today, a lot of the athleisure apparel theme does match with these picks, so why not your backpack as well? Children around the world have obsessed over cars for decades and that is what makes it so permanent on our memories. Car themed backpacks come in all shapes and sizes, with prints or just car colors. If you want a cool and grownup look with your backpack, then take a branded pick from an original Ferrari or BMW collection. However, if you want more of a kid approach, then picking something a little more casual might help. These are the 3 designs for backpacks that are going to bring back all your childhood nostalgia. So don’t wait – head over now to the closest bag retailer and get it worked out!